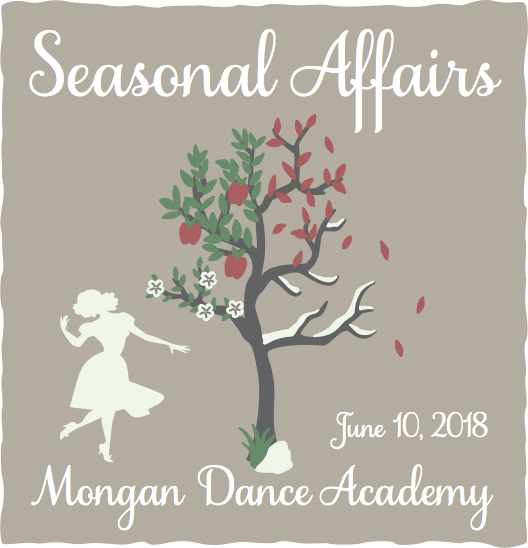 Annually, the students of Mongan Dance Academy showcase their artistic talents and progress in the Annual Recital in early June. Those who are able to participate have a fond sense of accomplishment and pride in their hard work and practice. Pre-Ballet I, II, and III, Pre-Jazz/Hip Hop, and Hip Hop Minis are in one of two shows. Students in all Level I classes and higher perform in both shows. 2014 — "The Woods of Mongan Drive"
2015 — "The Traveling Big Top"
2017 — "A Summoning of Yesteryear"
The Nutcracker, a classic Christmas Story, is a fairy tale ballet in two acts centered on a family’s Christmas Eve celebration. In Clara's dream, she meets her beloved Nutcracker who has come to life, and after a fierce battle with the Mouse King, they enjoy a magical night of dancing and visits to mystical lands. Set to music by Tchaikovsky and originally choreographed by Marius Petipa, "The Nutcracker" premiered one week before Christmas 1892 in Moscow's Imperial Theatre. 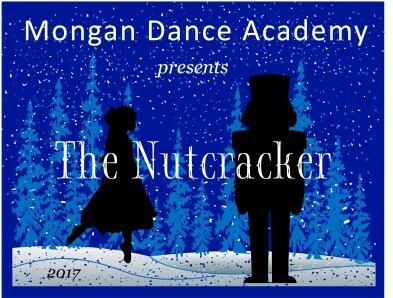 Mongan Dance Academy's debut of the Nutcracker was one week before Christmas 2016, and will become an annual tradition and celebration of the holiday season. All students in Pre-Ballet III, and Ballet I, II, and III are eligible to participate and audition for special roles.